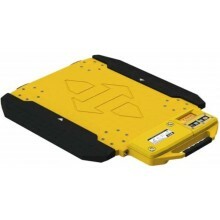 Perfect for portable truck scale applications. 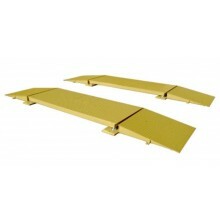 Include the landing gear pad for continual checkweighing while loading/unloading. The CAS RW-AW Series is a self contained, pit-type or above ground steel deck axle scale, featuring a 4 inch structural tubular steel cross-strut design. OP-928 Series is a heavy duty modular wheel weigher that can be configured to suit any axle group or wheel spacing. 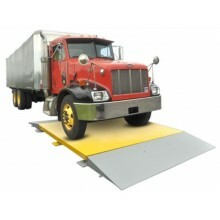 This rugged cast aluminum weighing pad is light enough to be portable yet large enough for any type of vehicle. 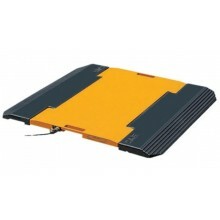 The bright yellow industrial paint is baked onto the aluminum alloy chassis. 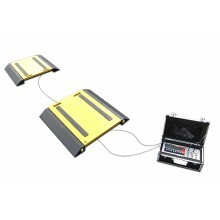 Optima Scale’s weighing pads not only look tough, they are built tough! 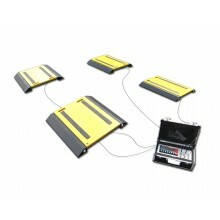 With a variety of capacities and higher resolutions, the portable axle pad system can be used in almost any application.